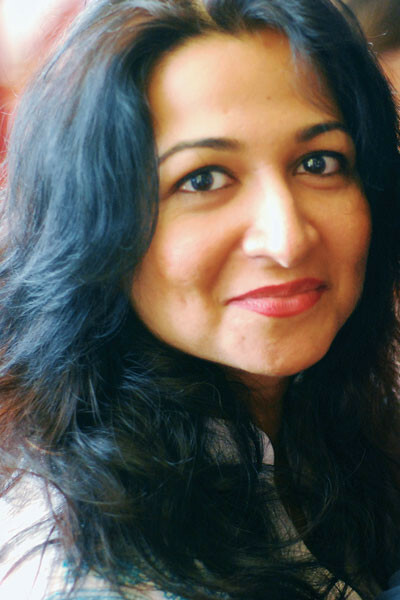 Verve Twitter Chat with Kiran Manral: Does romance still exist in the contemporary world? February is officially regarded as the month of romance. We think teddy bears, balloons and gifts are passé. The very notion of love and romance have changed over the years. But do they even exist in this rabid world of sexting and Tinder? We catch blooger, author, activist and effortlessly cool mommy Kiran Manral for a quick Twitter chat to pick her brains on the much-disputed debate – does romance still exist in the contemporary world? Read on to find out what she thinks. Verve Magazine (Verve): Great! So tell us what’s your idea of romance? What does it mean to you? Kiran Manral (KM – @kiranmanral): To me, romance is being wooed, or wooing someone. That sense of a high, when everything else is blinkered out when everything centres around the object of one’s affections-the attainment or not. That’s romance. Verve: That’s so dreamy! We can’t help but love hopeless romantics. Verve: Do you believe that the idea of romance still exists today? Verve: So then how do you think romance has changed over the years? KM: Wooing was gentler, slower, people took their time to get to know one another. One believed in the one great love but wooing the object of one’s affection will always remain, ergo the idea of romance will exist. Verve: Don’t you think technology has bridged the communication gap in contemporary relationships? KM: Today with so much technology to communicate instantly, the deliciousness of waiting has gone missing. KM: It has been a blessing and a bane, as anyone who has drunk texted will aver. KM: and call me old fashioned, but an email has nothing on a handwritten letter. Verve: And amen to that! KM: It helps you communicate, reach out, stay in constant touch. But it also makes you hit reply too soon, react instinctively. Verve: We agree! Do you think the shift from handwritten love notes to naughty effortless sexting killed romance? KM: Sexting is fun, momentary & does not stir anything other than the loins. Romance needs the heart stirred up. Verve: Has that stemmed from the West? Like Tinder. And is that the new shaadi.com ? KM: I think Tinder is very interesting, because it is adults looking at getting connected online when offline isn’t working. KM: It is brave to put oneself out there, and search for love. So, I guess technology has some pros re romance. Verve: Tweeple, this one’s for you! What is your favourite love story? And the character you would love to be wooed by? Verve: Do you think the youth today is obsessed with the idea of love and a happily ever after? Verve: We couldn’t agree more! What is a happy ending to you? Do you think that still exists? KM: Happy endings always exist, it just depends on where you end your story. KM: But I do think the most beautiful love stories are the ones where they don’t get each other because there is no disillusionment, there is no falling out of love, they stay in love with the idea of the person. Verve: Do you think the contemporary Indian woman has any time for romance? KM: You don’t make time for romance. It makes you make time for it, if it strikes you. KM: No matter how busy you are, if cupid strikes, you will be struck down. Verve: Twitter romantics, tell us a dialogue or a line from you favourite film/romance novel which will always stay with you. Verve: Now for the books, what separates a romantic novel from a chick-lit? KM: Chicklit is fun and laughter and love and girlfriends, and romance is heart and emotion and stirring and tears. A fine line. KM: Very often chicklits are romantic, but not all romances could be chicklit. Verve: Do you think books like the Fifty Shades trilogy is spreading the wrong idea of romance? KM: There are many issues I have with 50 Shades and romance is not one of them. Verve: Are you happy that the movie isn’t releasing any time soon? KM: Ha ha ha. I might not watch it, but I’m sure there is a paying public who might feel very thwarted. Verve: On that note, we leave it open to you tweeple. Anything you want to ask about romance? Now is your chance! Rina Biswas (@RinaBiswas7): Define romance, which one will u prefer most, real or fantasy???? Nd why??? KM: Define romance? Tough to define-the wooing of a person by another. Both real and fantasy have their importance. @RinaBiswas7: Well, I would declare d lyf of a victorian writer… Geroge Eliot. I somehow learn dt luv is a marriage of two minds. Verve: And that’s all we have for today! Thank you @kiranmanral for taking out time for chatting with us. KM: My pleasure completely. Thank you for inviting me. Read more from Kiran Manral here.